Home » Uncategorized » Some good’uns….. In a more healthy vain, away from the bitterness of politics, I have found a few things that really make my life easier in the kitchen and are so gratifying to use. First there is a 10″ Bialette skillet that I found at Bed, Bath & Beyond. I went there to replace a Calphalon skillet that I had worn out. They didn’t have it in open stock and I noticed the Bialette. It has a gray stoneware finish and it was only about $30.00. It was a real value purchase. I simply cannot get anything to stick with this skillet, it is so easy to clean and I use practically no oil. While Bialette brand was new to me, apparently they are an old, very well known brand as you will find out doing a web search. I will add more of their product to my utensil inventory as need arises. 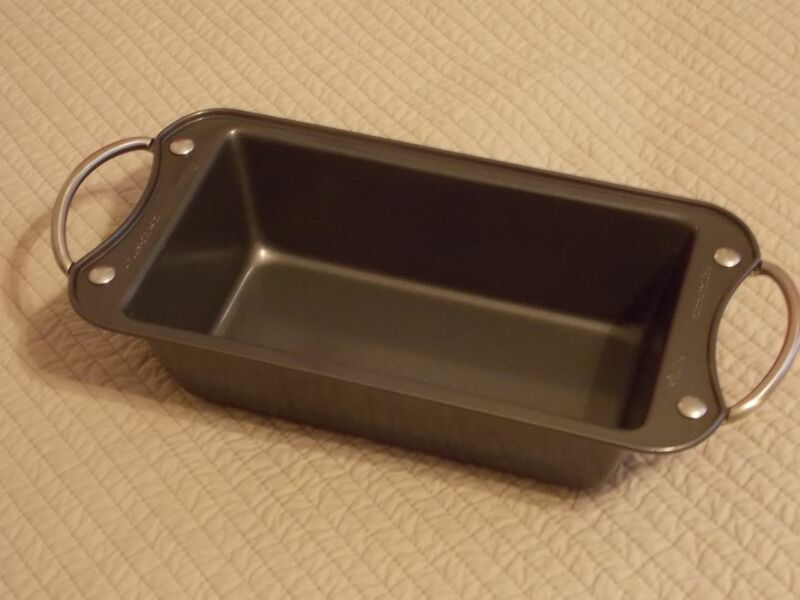 Along the way, recently, I purchased a Wilton loaf pan and this has been another great buy. Not only is it very, very non-stick, it has extended handles on each end that makes it easy and safe to handle with hot pads. Use it with Pam’s baking spray and it is a snap to clean up. This entry was posted in Uncategorized and tagged Bialette, Cooking, Wilton. Bookmark the permalink.